The number of campaigns is significantly higher than last year, when some 140 were run. The support of a "smooth and orderly" Brexit remains a key priority, with comms teams charged with delivering a "major, multi-channel public information campaign to ensure that all those affected by leaving the EU are able to access the very latest official advice and information to help them prepare". The plan states: "Our 'no citizen left behind' approach deploys the full breadth of paid, owned and partner channels, to make sure that people do not miss information that is critical to their lives and livelihood." There will be a growing emphasis on tackling disinformation, with the continuing work of the Rapid Response Unit to "support the reclaiming of a fact-based public debate" and the creation of a RESIST counter-disinformation toolkit. The plan highlights the concern that "the democratisation of information, and the means to exploit it, allows multiple sources to exert disproportionate influence, often in competition with the public interest." It adds: "Trusted and traditional sources of information, and institutions of authority, are being called into question." Government campaigns marking 20 years of devolution in Scotland and Wales "will continue to demonstrate how being part of a strong and secure Union benefits citizens living in all four nations". And there will be regional campaigns to boost local economies and encourage investment, innovation and enterprise. In terms of global presence, the Government is to use its network of more than 270 embassies and 600 professional communicators around the world "to enhance the UK’s position internationally and ensure the Government’s messages reach a global audience". In the UK, campaigns will cover areas ranging from the economy, education and health to homelessness and social mobility. 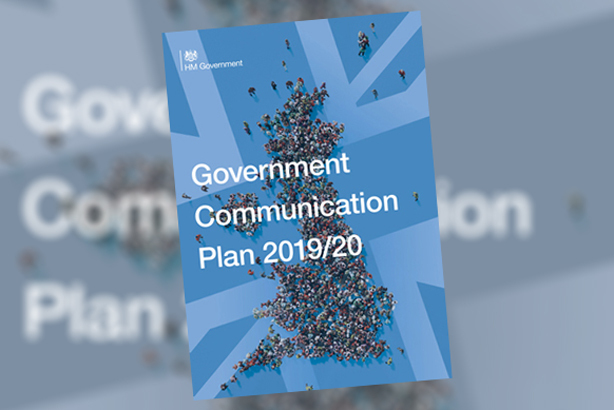 Alex Aiken, executive director, Government Communications, says this year will be "hugely important" and that effective communication is needed "to help the public, businesses and communities understand how they can make the most of public services". In his foreword to the plan, Aiken calls for improvements in "digital skills and leadership across the profession" and for action to address "structural inefficiencies". Government comms teams need to raise their standards over the coming year, strengthen democracy through campaigns to keep the United Kingdom together, tackle disinformation and strengthen electoral integrity, he says. The comms chief warns of "major challenges" that will be faced, such as "artificial intelligence, rapid social media, the growing presence of online influencers and disinformation".